Pay-per-click advertising is a successful tool to be seen by people who are searching on keywords or keyword phrases that are relevant to the products or services your business offers. How successful your pay-per-click campaigns will be is determined by how well you have optimized ad titles, URLS and content. There are also other ways to enhance your efforts that will lead potential customers to click through to your site where you can convert them into paying customers. Making sure your pay-per-click ad is optimized including the ad title, URL and content is the most important part of your entire pay-per-click campaign. While you want to be compelling and provide a call to action for potential customers, you also want to be as relevant as possible in order to appeal to the right customers. Write your pay-per-click ads in a way that will catch attention in less than three seconds to the target market that is most likely to continue through to purchase your product. 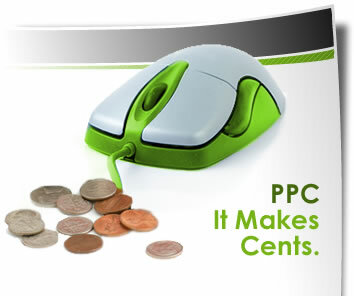 Sitelink ads extension incorporated within your pay-per-click campaign is one way to enhance your campaign efforts. Sitelink ads are URLS that show up with your pay-per-click campaign, but are not a part of the title, ad copy, or URL of the ad. Instead, it is positioned under your pay-per-click ad. These sitelink ads provide additional choices and suggestions for your target market. Including a call to action with them will increase their success rates. Making sure you have Google product reviews can help you with your pay-per-click ads because you can have a seller ratings extension along with the ad that will show that your products are highly rated. This way of showing potential customers that other people like your products is powerfully persuasive. It also builds trust that your business delivers top value. You do need to have at least 30 four star rating reviews on Google Product Search in order to be eligible for the seller ratings extension. These will show up automatically when you have reached the minimum reviews needed. Adding a Google+ social extension is another way of offering proof that your products or services are well liked. Obviously you want to make sure that you have a solid social presence at Google+ for your business. Making sure you are able to offer this additional social proof is a good activity to focus on. When you have a great optimized pay-per-click ad and have enhanced it with sitelink ads, product reviews and social proof, they will have an excellent return on investment. You can continue to adjust the pay-per-click ads by changing the title, content or URL to continue to test and find the best producing ads for your online business.